Yesterday, World Kidney Day, John and I visited the Royal Free Hospital and handed over the 14 blankets. As you can see from the photos we had a lovely chat with Thelma, the Ward Manager and other nurses. They loved the blankets! Thelma was very appreciative and promised to distribute the blankets to the dialysis patients who need it most. She asked me to thank all you lovely people for making the hexagons and being part of Crochet For Kidneys Part 2. I do hope that the recipients will find the time to join the Crochet For Kidneys Facebook group so that we can all “meet” each other! 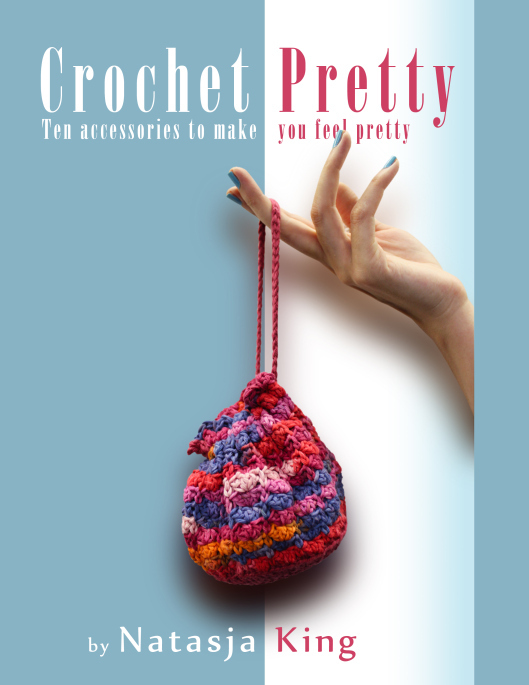 With Crochet For Kidneys Part 1 and Part 2 now over, I know a lot of you are wondering when Part 3 will kick off. 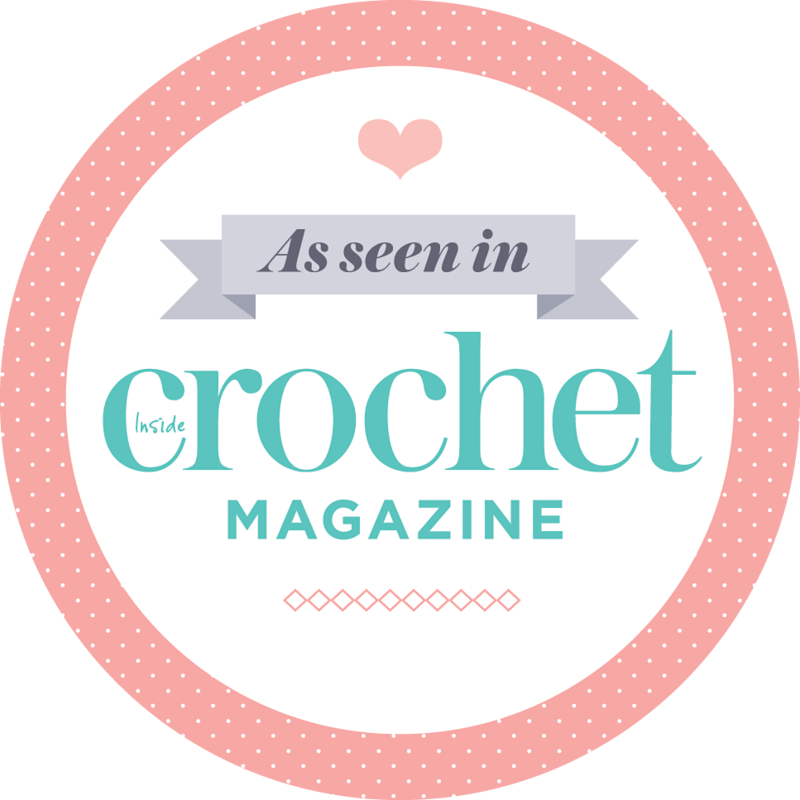 Crocheters love to crochet and we love to share our crochet so it’s only natural that you want to be part of more charity projects. I love that about you all! You’ll have to wait a couple of months for Part 3 though. Crochet For Kidneys Part 3 won’t kick off until September 2014, but dont let that stop you from crocheting for charity. The Starting Chain blog made a list of ten US Charities that need crocheted items which you can read here and as a follow-up on that post, they listed nine charities in the UK, Canada and Australia that also need crocheted items here. If your hands are itching to put hook to yarn for a good cause, I’m sure you’ll be able to find the perfect charity project in amongst the 19 charities listed in these two articles. One final thank you to everyone who contributed a hexagon. I, the nurses at Royal Free Hospital and of course the 14 dialysis patient really, really, really appreciate all you have done. On Sunday evening I finished the last border, wove in the last tail end and snipped off the last stray bit of yarn on the last blanket for Crochet For Kidneys Part 2. They’re all done! “They” being a fantastic 14 beautiful blankets for dialysis patients. That’s double the number of blankets we had for Part 1! In total I joined hexagons, and made borders, for eight blankets. Jenny (of Thames Ditton Crafters) and Jane (of Jane’s Nice and Easy Crochet) each joined a blanket too. Thank you very much for your help ladies! Five ladies made complete blankets for which I am so very grateful. One of those five will be sent directly to the Royal Free Hospital so I don’t have a photo to show you, but I do have photos of the 14 John and I will be handing over on the 13th of March. We chose 13 March because it’s World Kidney Day – a global awareness and education event. What better day to hand over lovingly handmade blankets to those with kidney failure? These blankets are sure to bring them comfort in both senses of the word. I know you all put so much love into each stitch and the bright colours you chose will surely cheer up any poorly person. Thank you again each every one of you! Aren’t they beautiful? You have all done such an amazing job! Everyone’s hexagons have been used in these blankets. Whether you sent me two or 63, somewhere in these 14 blankets there will be a hexagon made by you. Thank you so much everyone! I’d like to end this post with some kidney facts so that you can be aware and informed about the important role your kidneys play and what you can do to reduce the risk of kidney disease. The main job of the kidneys is to remove toxins and excess water from our blood. Kidneys also help to control our blood pressure, to produce red blood cells and to keep our bones healthy. • Keep the Pressure Down – High blood pressure accelerates kidney damage. To protect yourself from kidney disease you should monitor your blood pressure regularly and maintain a diet low in salt and saturated fats. • Keep fit and active – This helps reduce your blood pressure and therefore reduces the risk of kidney disease. • Don’t smoke – Cigarette smoking slows blood flow to the kidneys, decreasing their ability to function properly. Quit smoking to slow the progression of kidney disease. • Eat healthily and keep your weight in check – This can help prevent diabetes, heart disease and other conditions associated with kidney disease. • Know your kidney function – If anyone in your family has suffered from kidney disease, if you are diabetic or if you are of Asian or African ancestry, it is particularly important to get your kidney function checked by your GP. In the western world, 30-40% of patients with kidney failure have Type 2 diabetes. Look after yourself and your kidneys my dear readers! I need you to be healthy so when Crochet For Kidneys Part 3 is launched in the Autumn, you can help me make more blankets. Deal? Deal. Last week I thought I had done my last “your hexagons” post, but you guys surprised me once again. I received a further 42 hexagons! These parcels were probably sent to me a day or two before the 7th of February so they arrived after the deadline. Fear not, I will use these hexagons in a blanket. In fact, between the hexagons left over from last week and this batch, we have the makings of one more colourful blanket! I know you’ve been wondering what our blankets look like. Wait no more! It was such a lovely sunny Winter’s day today I took the opportunity to string the six completed blankets against our back garden fence. I just couldn’t resist. I will definitely post full size photos of each blanket when they’re all done, but for now here is a collage for you to enjoy. The top left hand side pink and purple blanket is the work of San Bee of Loopsan blog. Her blanket arrived beautifully wrapped with crocheted hearts and crochet tie. Isn’t it sweet? I had to undo the ties to take the photo but will retie it exactly this way to present to the patient. She even did a photo tutorial for making a hexagon – as if crocheting a whole blanket isn’t enough! Click here for her hexagon photo tutorial. What do you think of our blankets? Do you think it will cheer up the recipients? You should see the colour combinations of the other blankets I still have to join up. They’re so, so, so pretty! Friday the 7th of February had finally arrived. It was the day of our hexagon hookup at the Court Farm Garden Centre cafe. I arrived just before 10 am to find our long table in front of the cozy fireplace. Isn’t this just the best place ever to get together with friends, old and new, for a spot of crochet? Jude, Liz, Mary, Gill and Jenny arrived soon after me laden with bags of hexagons and even two completed blankets. Luckily the cafe wasn’t very full at this point because we did sort of take over a bit. Squeels of “Oooh Mary that’s gorgeous!” and “Bright solid colours! Just what I needed!” could be heard over in the conifer section. The ladies really blew me away with their generosity. Like I said in yesterday’s post, I received enough hexagons for one blanket, as well as two completed blankets yesterday. Within two minutes, the blanket count rose with three. Totally unexpected and so welcome. We didn’t waste much time in getting our drinks and eats. Everyone knows you crochet much better when you have coffee and a scone. We decided that the six of us would spend our two hours joining the straight sides of six hexagons, to make the rows that I would eventually join up. I made little packets of rows for each of the two blankets I took with me. If they helped me make up the ten rows of six, all I have to do is join the 10 rows together in zig zags and do the borders for all the blankets. Easy peasy. Here’s Mary sewing up a straight side. Jude and Liz doing their straight sides. I had such a great time with these ladies. I think it was at this point I did a little hoppity-dancemove as I returned to the table. I was in my element. I mean really: day off work, morning in a cafe, crochet, friends, coffee, scones, hexagons for charity, chit-chat about all things crochet and yarn related. How could I not be happy? So much concentration! Gill is sewing up the hexagons that she made. It looks like she will have made enough for one complete blanket! Jenny’s little helper Nat was very well behaved and friendly. He’s the cutest little guy. Can you see how pretty Gill’s hexagons are? I can’t wait to see the completed blanket. Jenny kept her head down the whole time, working away non-stop. Mary is very proud of her blanket. And so she should be! I can’t explain to you how well made this is. The sides are super straight, the corners extra pointy, the tension amazingly consistent throughout and the 5cm wide (US) sc / (UK) dc border done in exactly the right combination of colours. I will take more photos of Mary’s blanket, as well as Liz’s purple and white hexagon blanket that I told you about yesterday, for a later post. You will definitely see more of this blanket! Next time I’m doing a blanket I’m going to make a Mary Border. It’s so simple but so effective. The odds that your blanket will be made up of (US) sc / (UK) dc stitches are very slim, so using that stitch for the border is the perfect contrast and it forms a lovely stiff edge which keeps everything nicely together. A Mary Border. That’s a thing right? It wasn’t, but now it is. At the end of the two hours the six of us had joined all the straight sides of both blankets. Two hours extremely well spent and a great help to me. To Liz, Mary, Jenny, Gill and Jude I want to say a huge thank you for taking the time to help join the hexagons. I had an amazing time and you’ve been a great help to me. If I could, I would do it all again next week. Hey, I’d do it again tomorrow if if I could! Crochet For Kidneys Part II is almost at an end. This is the last week and boy you guys know how to rally at the end! Last week I received 229 and this week I received 209! The 209 include 61 hexagons given to me at today’s hookup at Court Farm Garden Centre cafe. It’s crazy! Like John says: “Crocheters are so cool”. Yes you read right. Liz gave me the hexagons you see above, as well as a whole blanket! She made it in purple and white hexagons, the perfect mix of Crochet For Kidneys Part I and Part II. I will show you her blanket when I post photos of all our blankets a bit later in February. As you can see I had to put some hexagons to use before I could take the photos because they fitted in so perfectly with the blankets I was putting together. My method of making these charity hexagon blankets is to group colours together so that the blankets are not a total mishmash of crazy colours (I love me my crazy colour combos but it might be a bit much for a dialysis patient. Hey, it might be a bit much for most people). As I open the parcels of hexies I could see the colour themes developing. For instance I put together a teal, yellow, orange & purple blanket. I also have a blanket in dark tones and one in autumnal colours. There’s a pastels blanket and a pink & orange one too. But the strange and totally amazing thing is that whenever I was short a few hexagons in a certain colour group, the Gods Of Crochet would send me exactly what I needed to complete the blanket! Then there’s the red and green blanket… Up to today I received almost no hexagons that were worked with red yarn. That all changes with Pauline and Ann’s parcels. Not only did I all of a sudden have red hexagons, they both combined the red with green and the two of them had made enough between them for a full blanket. It’s as if Pauline and Ann worked together to make a blanket! I just love it!! I packed out a design for the red & green blanket on our living room carpet and it worked! (None of the other blankets follow a specific pattern, they’re arranged randomly.) When I started arranging the hexagons (the green at the top left corner was the first one) I didn’t know whether I had enough or whether I would be able to keep up the pattern. It was one of those “close your eyes and hope for the best” moments. As I reached the second to last row I held my breath and when I got to the green hexagon in front of my feet (yes, I’m wearing red tipped socks too. Crazy!) I could finally exhale. I also did a little happy dance. Of course. At last count it looks like we will have 11 blankets to give to the Royal London Hospital. Eleven! That’s so much more than I could have hoped for. Thank you so much to everyone who has contributed. John and I are planning to deliver the blankets to the dialysis unit on the 28th of February. That gives me three weeks to join up all the hexagons and for anyone out there who has been working on a whole blanket, to post the blanket to me – that’s you amazing ladies Gill, Jane, Tammy and San. Thank you again for each and every hexagon that I received from all over the world. You really are the best an I can’t thank you enough!